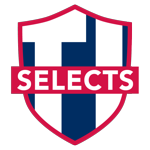 Mid-Atlantic Selects (MAS), MAS Mites and Team Elite Advantage Hockey (EAH) are the three levels of spring hockey tournament teams. These teams provide a unique opportunity for young players to be exposed to other players and coaches. Tomorrow's Ice offers different kinds of spring and summer training opportunities to help you keep sharp and up your game during the off-season, week long camps and weekly skills sessions. Whatever the need is for your club or rink, our trained and effective staff will provide support and leadership services to foster your associations growth and success.